We’re serving up new Salad Bar Dinner Deals that you won’t want to miss! Available from 4-9 PM, enjoy any of these delicious dinners, coupled with our endless Soup, Salad, and Fruit Bar! One of our all time favorites! 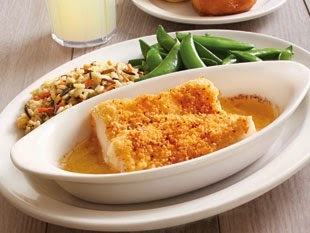 This classic dish features a filet of cod baked with a buttery breadcrumb topping. It’s served with your choice of one side, bakery-fresh rolls and our Soup, Salad, and Fruit Bar. We’re bringing the sunshine state up north! 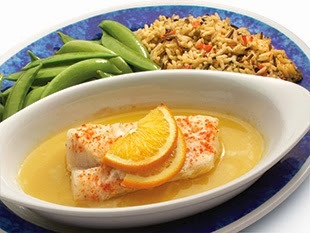 This sunny creation features a filet of cod baked in orange juice and is Celiac-Friendly without the seasoning. Plus it’s served with your choice of one side, bakery-fresh rolls and our Soup, Salad, and Fruit Bar. Eating smart never tasted so good! 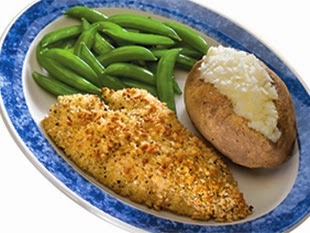 Our centerpiece is a flaky sole filet lightly crusted with Parmesan breadcrumbs and then drizzled with butter and fresh-squeezed lemon. It’s served with your choice of one side, bakery-fresh rolls and our Soup, Salad, and Fruit Bar. 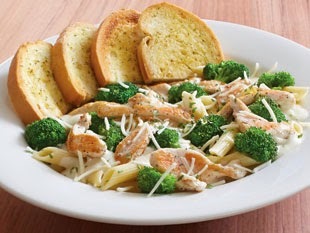 Enjoy our creamy Alfredo sauce on a bed of penne pasta, topped with strips of grilled chicken breast, fresh broccoli, and Asiago cheese. It’s served with garlic toast and our Soup, Salad, and Fruit Bar. This dish is for all the Pierogie people out there! 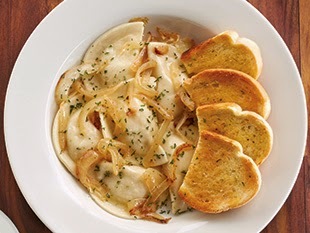 We take six Mrs. T’s potato and cheddar pierogies and top them off with butter and grilled onions. Plus, it’s served with garlic toast and our Soup, Salad, and Fruit Bar. Everyone’s favorite classic Italian dish! 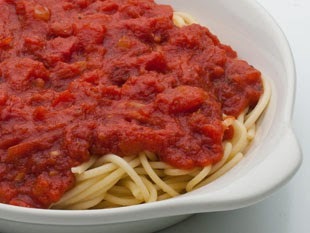 We use Barilla spaghetti and top it off with your choice of our delicious marinara sauce or new meat sauce! It’s served with garlic toast and our Soup, Salad, and Fruit Bar. Bon Appetite! Where is the Nantucket cod with salad bar special? Hi Andrew! Our Nantucket Cod is no longer one of our Salad Bar Dinner Deals but you can still find it on our menu! Hope to see you soon!